Effective leadership determines the success of any organization, whether it is commercial, educational, governmental, or a non-profit one. The right leader will facilitate achievement of organizational objectives and empower employees, so that they can accomplish more. Leaders also control and monitor; they make sure that the criteria are met, and that micro-goals are reached. 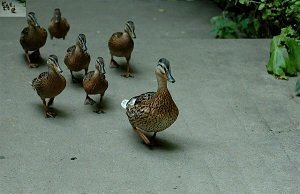 Depending on the organizational objectives and the type of work that its employees do, different types of leadership can be applied. There are two motivational theories, Theory X and Theory Y, which presume two different leadership models. Both theories were developed by an MIT professor, Douglas McGregor, who was studying workplace motivation in relation to management styles in 1960s. The first motivational theory, Theory X, states that employees have no inner motivation to work. Therefore, they should be supervised and stimulated to work. According to this theory, a leader takes an authoritarian role where he or she uses a ‘carrot and stick’ method to make subordinates carry out their job tasks. The model of an organization which employs the X Theory presumes a strictly hierarchical structure, where every level should have managers and subordinates whom they control. Control, and sometimes punishment are the main motivational tools that work here. As opposed to the authoritarian style of Theory X, Theory Y suggests that people are motivated to work intrinsically, and that engagement in the job is natural for a majority. Subsequently, this theory presumes a more horizontal organizational structure where everyone can freely participate in the process and contribute to their teams. Managers, according to the Theory Y, are seen more like mentors who provide guidance and help solve different working problems when they arise. Employees are not dependent on bonuses and sanctions, and they are independent in deciding the volumes of work they should do within a particular time period. While, at the first glance, it might seem that Theory X is outdated and should not be applied to present-day working environments, the effectiveness of certain leadership style depends on the structure, size, and type of commodities that a particular organization produces. Theory X-based leadership is better employed in organizations where workers do manual or routine work, so that the results are tangible and standardized. In such systems, there is usually little chance of employee career growth. As opposed to it, Y-based leadership makes more sense in organizations where creativity and teamwork are essential. The result here is not that crucial; more important is the process during which this result is achieved. Currently, a majority of organizations try to switch from the authoritarian model of leadership and management to a more democratic one. Indeed, in workplaces where employees tend to seek responsibility and assume it gladly, there is no need for strict control or external rewards and punishment. However, in places where workers do a routine job and produce a certain result this X-type management style is still needed. What is most important, the two theories — X and Y — are not mutually exclusive. They can and should be combined and implemented in accordance with the current organizational or team goals and needs. Burnes B. Managing Change: A Strategic Approach to Organisational Dynamics. Pearson Education, 2009. Landy FJ, Conte JM. Work in the 21st Century: An Introduction to Industrial and Organizational Psychology. John Wiley & Sons, 2010. McGregor D. The Human Side of Enterprise. New York, McGrawHill, 1960. Mills AJ, Helm Mills JC, Bratton J, & Forshaw C. Organizational Behavior in a Global Context. University of Toronto Press, 2006. Pride W, Hughes R, & Kapoor J. Business. Cengage Learning, 2009. Sahin F. “The mediating effect of leader-member exchange on the relationship between Theory X and Y management styles and effective commitment: A multilevel analysis.” Journal of Management and Organization, 18(2), 2012. Schermerhorn JR, Jr. Management. John Wiley & Sons, 2010.